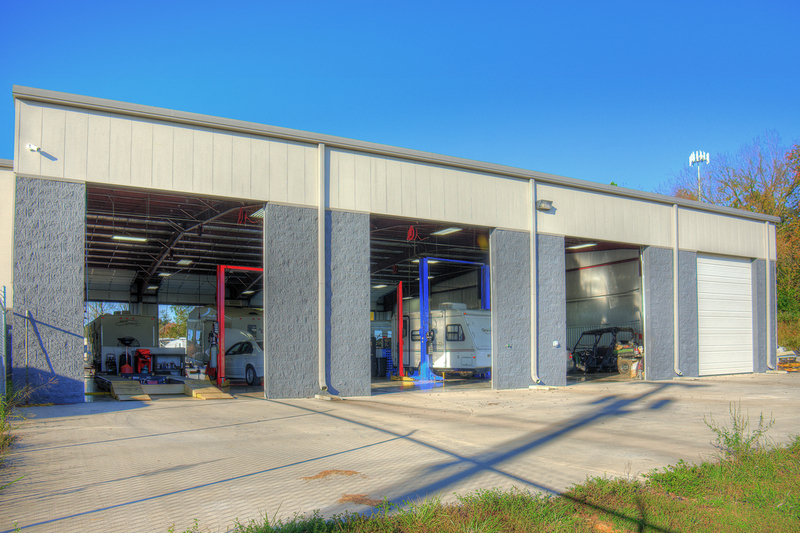 This project was a new construction for an automotive/semi-truck & RV repair shop along with a showroom and display area for RV sales. 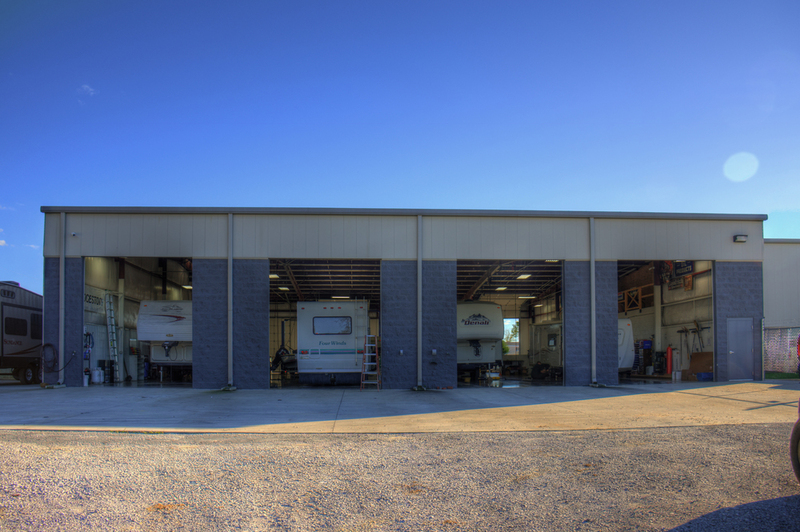 The maintenance area features multiple bays sized for semi-trucks and RVs all the way down to automobiles. A considerable amount of site work resulted in room for the building as well as space to display RVs. 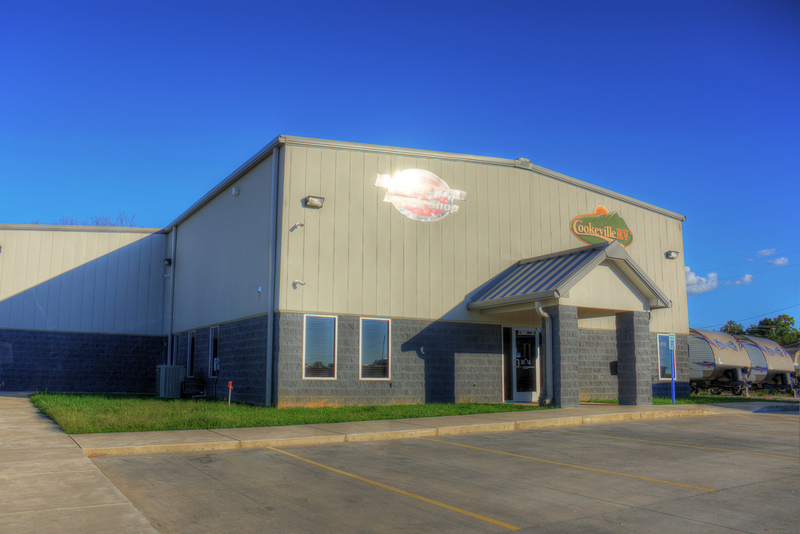 The showroom includes space for RV accessory display and sales as well as office space.